NEGROS ORIENTAL (PIA) – The Philippine Coconut Authority (PCA) here has intensified surveillance efforts against insect infestation commonly known as ‘cocolisap’ in the provinces of Negros Oriental and Siquijor. Provincial Coconut Development Manager Brendan Trasmonte said PCA is undertaking heightened vigilance in coconut farm areas of the two provinces in the wake of alarming reports of coconut scale insect (CSI) or ‘cocolisap’ that infested Basilan province. With this, the PCA local office has conducted massive information drive to coconut farmers and stakeholders to enhance public awareness. However, Trasmonte said no incidence of CSI infestation (rigodus or destructor species) has been observed in the two provinces. PCA has called on the public, particularly the coco farmers, to report any observation or actual incidence of pest infestation or damage to its local office through telefax no. (035)422-1539 or to any Coconut Development Office assigned in respective local government units (LGUs). PCA reported that Basilan is one of the top coconut producers in the country, with an annual production of 163.2 million metric tons of copra. It is noted that cocolisap may multiply rapidly during the dry season. 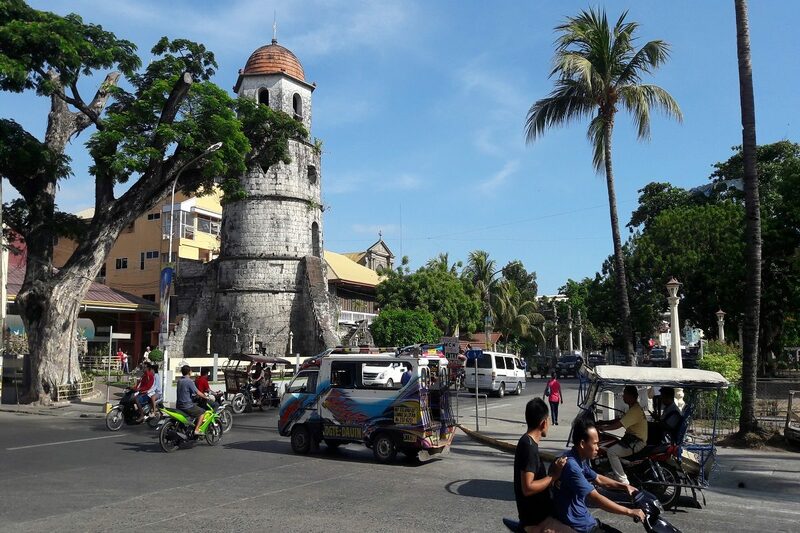 BAIS CITY, Negros Oriental (PIA) — With more than 300 suspected dengue cases reported here, the Bais City government has now approved the quick response fund (QRF) to support the prevention and control measures of anti-dengue program in the city. Mayor Mercy Goñi of Bais City said apart from the QRF, funds will be allocated for any assistance and supplies needed in the implementation of anti-dengue program of the City Health Office. The local government has also donated to Philippine National Red Cross (PNRC) P140,000 for the poor residents to avail the blood screening for free, Goñi said. “However, indigent residents who have dengue cases now will be provided with immediate cash assistance,” the mayor said. It is also reported that the number of suspected dengue cases in the province has reached over 2,000 with 11 deaths reported this year, majority of which were from Bais City. Goñi directed all sanitation officers to visit and inspect all the households and educate the residents on how to control the spread of potential dengue-carrying mosquito breeding sites. DUMAGUETE CITY, August 19 (PIA)—Negros Oriental PAG-ASA Chief Neptune Catarata said, a weak La Niña is expected to occur starting September this year until the early months of 2017. In a recent Kapihan sa PIA on “Disaster Preparedness vs. La Niña Phenomenon,” though a weak La Niña is expected Catarata however, advised the public to be vigilant and prepare especially in areas that are prone to flooding. Relative to this, Adrian Sedillo, Executive Director of Provincial Disaster Risk Reduction Management Council (PDRRMC) encouraged the public and the community to a 50-50 sharing of responsibilities in preparing for disaster. Sedillo added, PDRRMC’s tasked is to craft policies on disaster management with the public’s full support and cooperation to ensure their safety and to prevent loss of lives and properties during disasters. He further urged barangay officials to hold disaster drills and orientation-seminars with Philippine Institute of Volcanology and Seismology (PHIVOLCs) Philippine Atmospheric, Geophysical and Astronomical Services Administration (PAG-ASA), PDRRMC, Bureau of Fire Protection (BFP) Philippine Army (PA), Department of Science and Technology (DOST) especially in areas that were badly hit by previous disasters. Sedillo again, emphasized for the public to be aware of the four (4) important thematic areas of disaster management which are: prevention and mitigation, preparedness, response and rehabilitation. In a related development, City Disaster Risk Reduction Management Council (CDRRMC) head Engineer Jose Chiu informed the public they are focusing their campaign on information, education and communication to the grass roots level. “Basically, all sectors should be covered in disaster management,” said Chiu. Part of their on-going mitigating measures are dredging of Banica River, construction of flood control dikes and cleaning and expanding drainage canals especially that Dumaguete City is the catch basin of heavy rains coming down from the mountains of Valencia, Negros Oriental. While disaster is everybody’s concern, Chiu challenged especially the youth to participate in trainings and simulations on disaster preparedness, learn it by heart and practice what they learned. In terms of food security during calamities, Bernard Limbaga of the Department of Agriculture assured the public they are prepared and that there is enough budget for buffer stock of rice. The climate field school of the agriculture sector conducted training to farmers on how to change cropping pattern depending on the climate situation.